Tickets are now on sale for the 2019 Victorian Manufacturing Hall of Fame Awards that recognise excellence in Victoria’s manufacturing industry. The 2019 Victorian Manufacturing Hall of Fame Awards gala dinner will be held at Peninsula, Docklands on 14 May, with this year’s winners to be announced on the night. This year’s event will be hosted by the Minister for Jobs, Innovation and Trade, the Hon Martin Pakula MP. “The gala dinner, with the theme of Industrial Evolution, is a great opportunity for businesses and individuals to connect with leaders across the manufacturing industry during National Manufacturing Week, 14 to 17 May,” the Minister said in a statement. 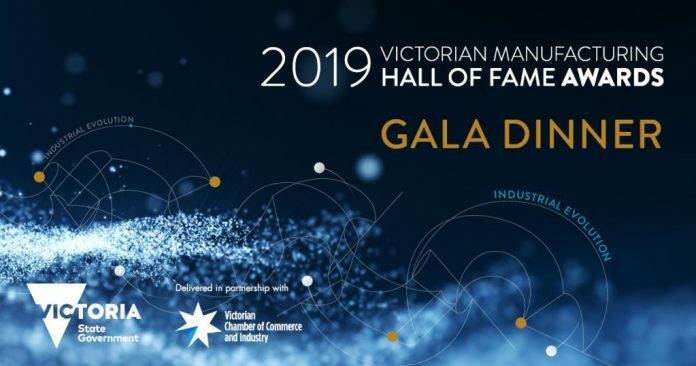 Tickets for the 2019 Victorian Manufacturing Hall of Fame Awards are available from the Victorian Chamber of Commerce and Industry website: http://bit.ly/2UgKzIS.